Join The Central Ohio ACFE! 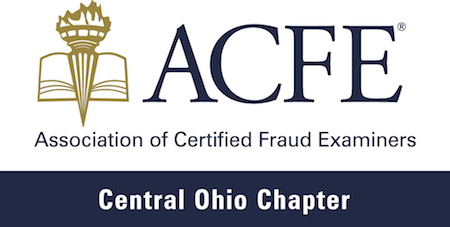 Ready to join the Central Ohio Chapter of the Association of Certified Fraud Examiners? Annual dues for the Central Ohio Chapter of AFCE do not include annual dues for National ACFE. Affiliate members are encouraged to seek membership with ACFE. Call 800-245-3321 or visit the national ACFE website for more information.